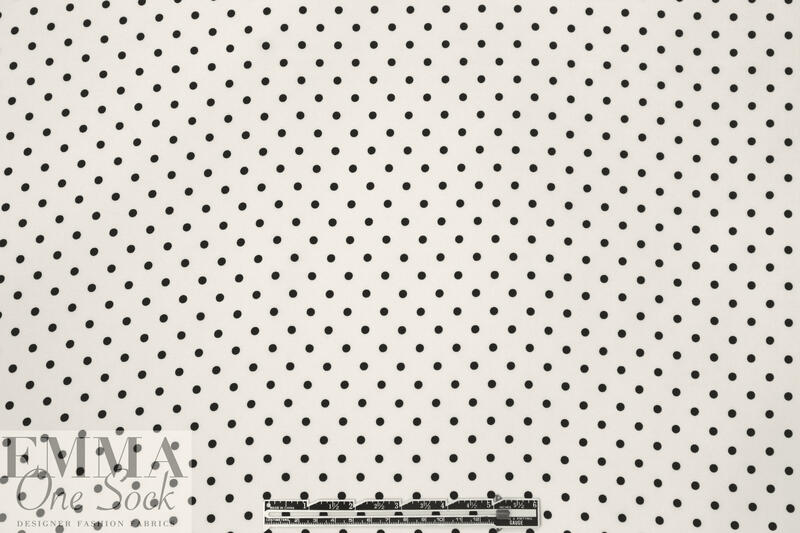 This classic polkadot design from Whit is printed on an excellent quality silk crepe de chine, lightweight and nearly opaque with a soft and flowing drape. 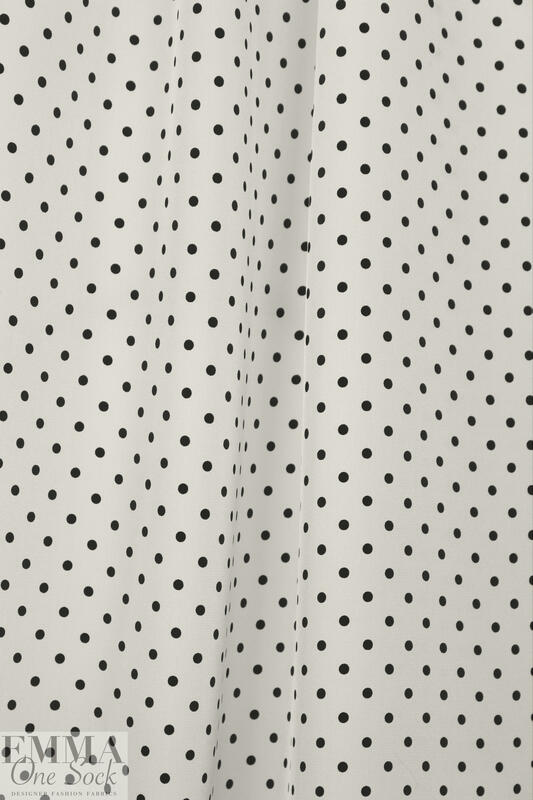 The print colors are black and soft white, and the repeat is 1". 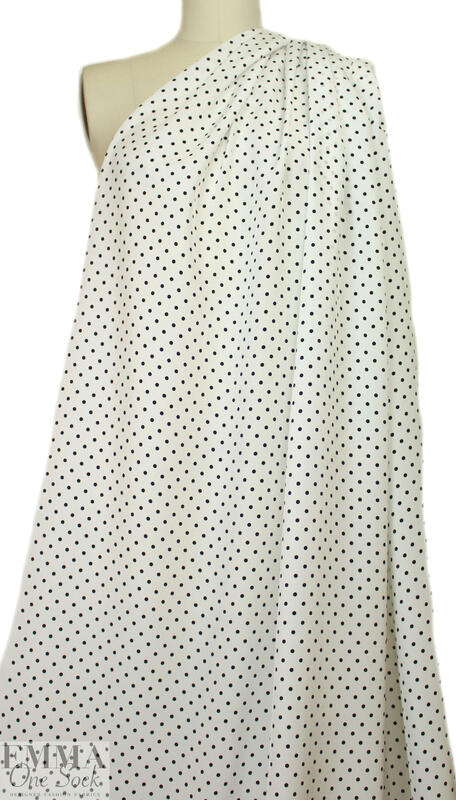 (There are no shadows on the dots in the actual fabric in real life---we are not sure what caused this phenomenon but we'll try to get better photos!) 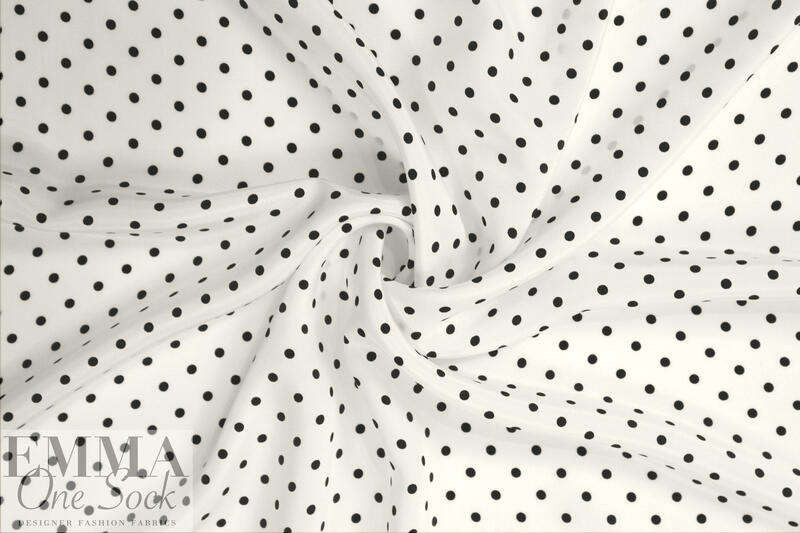 It is perfect for a blouse, shirt, tunic, top, stylish lining for a lightweight jacket, etc. Dry clean or test first if you wish to try hand-washing, and hand to dry.